1966, the 24 Hours of Le Mans race. Under the bulging eyes of Enzo Ferrari, three Fords cross the finish line. In one camp, excitement and laughter; in the other, shame and disappointment. This was the first time an American manufacturer won the spotlight from its European counterparts in a major race since the 1920s, with the victory being all the more exciting since it ended Ferrari’s six year dominance at the event right under Ford Henry II’s eyes. Ever since the GT40 won Le Mans, the two manufacturers have been throwing stabs at each other every time they got the chance. 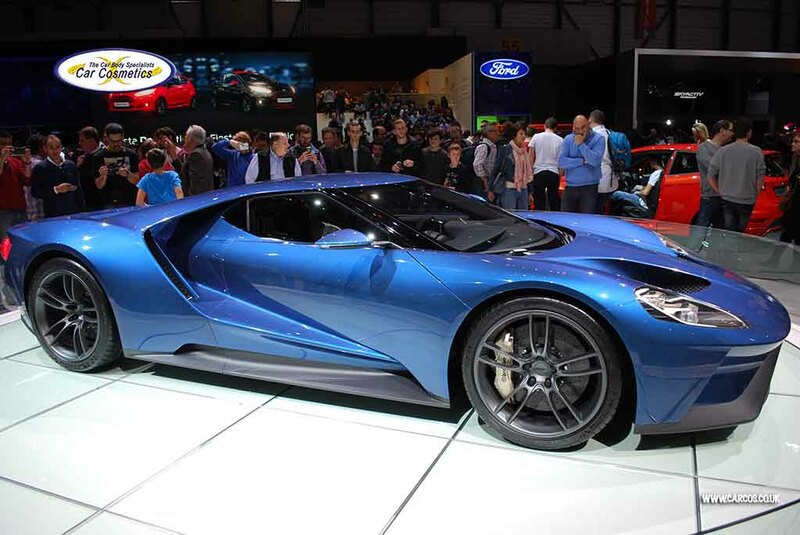 In 2005, the GT40 was reborn, under the name of the Ford GT, the blue oval’s new supercar. Although featuring the retro lines of the original and producing respectable performance figures from a 5.4 litre V8, it is wasn’t among the top togs in the supercar world, especially when pitted against the Italian thoroughbreds. Furthermore, reliability issues earned it a less than desirable fame. However, people learn from their mistakes – or they’re supposed to, at least. The people at Ford did, and even admitted that the previous supercar was somewhat of a half job. So, at the Geneva Motor Show, under the hungry eyes of an audience whose blood was mostly diluted racing fuel, the new Ford GT was unveiled. Boom! Gone was the retro styling and conservative approach. A novel exterior, with only vague hints pointing towards the “original gangster”, took the world by surprise. Inspired by LMP prototypes, it looks into the future rather than paying homage to times bygone. There are still recognisable elements though – the shape of the headlamps, the central nose arch and, if you squint really hard, the overall profile. Everything else is brand new, manufactured from aluminium and carbon fibre alone. Born in a secluded basement room underneath Ford’s headquarters, the entire Ford GT project took 14 months to be completed, from paper sketch to a rolling prototype. 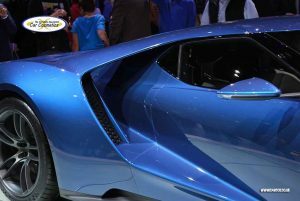 Although still aiming for the big boys, the Ford GT doesn’t boast a power plant that could fuel a nuclear reactor. Instead, it relies on a 3.5 litre EcoBoost V6, the same unit used in much more humble vehicles in its current production line; the Explorer SUV is one of them, so is the F-150 Raptor – powerful, but not supercars. As for the design, it is more dramatic than anything the American manufacturer has ever produced. The hyper aggressive fascia features massive creases, resembling an evil creature from Hell. The side profile flows rearwards, with the actual tear drop monocoque reducing its footprint as the lines progress towards the exhaust. The rear wheels aren’t part of the body anymore, as they’re housed into separate pontoons, linked to the roof by a pair of thin, yet wide buttresses. In the rear, the discrepancy between front and rear is the more evident, as the engine bay is isolated in an islet with only the twin exhausts keeping it company. A massive spoiler joins the circular rear lamps, accompanied by the not so subtle air diffuser situated underneath, that follows, to some extent, the front bumper’s design. In order to guide people to its stand, the Ford crew installed a sizeable poster, depicting the Ford GT, with the moniker: LaFord slapped right above it, an obvious stab at Ferrari’s LaFerrari, but it didn’t last too long, as it was taken down, most probably at Ferrari’s complaints (or threats). Bugatti also took a stab at the Prancing Horse with their last Veyron example, the Veyron LaFinale, but that’s a story for another time. Inside, the Ford GT improves over the cabin of its 2005 predecessor, but somehow, it fails to transfer the exciting lines of the exterior to the cockpit. Even if manufactured from carbon fibre, with large sections of the composite left visible – and tangible – the cabin still feels like it belongs to a different automobile. This is not an extravagant ball room, with dangling crystal chandeliers and gold plated sculptures, but it should at least signal: I am capable of ripping your face off when you step on the gas. It doesn’t. It’s boring and devoid of life. Save for the configurable digital instrument cluster and the adjustable steering column and pedals, there’s nothing to arouse one’s interest and the under-decorated innards seem to belong more to a tuned Fiesta than to a top of the line supercar that is supposed to be “expensive and exclusive”. For this, we hate you, Ford. Moving on to more exciting topics – the driving experience. Well, until a very lucky someone will get behind the wheel, we’re left here speculating. But fear not, for we can speculate aplenty! For starters, the Ford GT will have a reduced weight, befitting of a supercar. Ford stated that it will have one of the best power to weight ratio in the supercar world, so it’s going to be interesting. As for the power plant, the next gen 3.5 litre EcoBoost turbocharged unit will be the star of the show, connected to a dual-clutch seven speed transaxle. However, it’s not going to be a stock unit, as everything has been honed and tweaked to the absolute limit, with the end result being a total power output of around 600 horsepower. Ford didn’t reveal the actual figure, but the digital version of the Ford GT, already available in the Forza Motorsport 6 game lists 630 horsepower and 539 lb.-ft of torque as specifications. 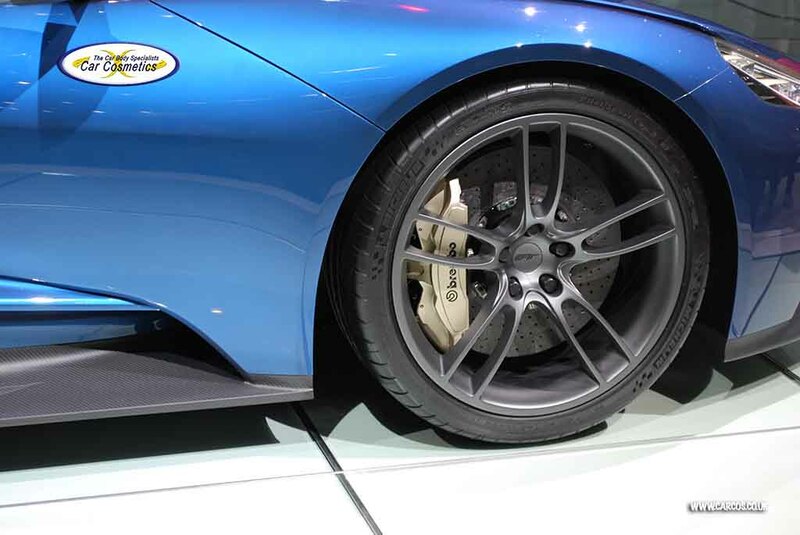 Ford already admitted that it pitted the GT against the 458 Speciale, using the Ferrari as a benchmark. 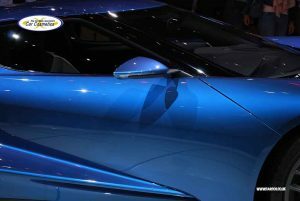 On the other hand, the Italians already released the 488 GTB and the launch photographs featured the supercar swathed in the same shade of blue as the GT (surprise!). Once the GT goes into production, perhaps we’ll see the two pitted against each other – or maybe we’ll see the 488 Speciale by then, if Ferrari moves fast. 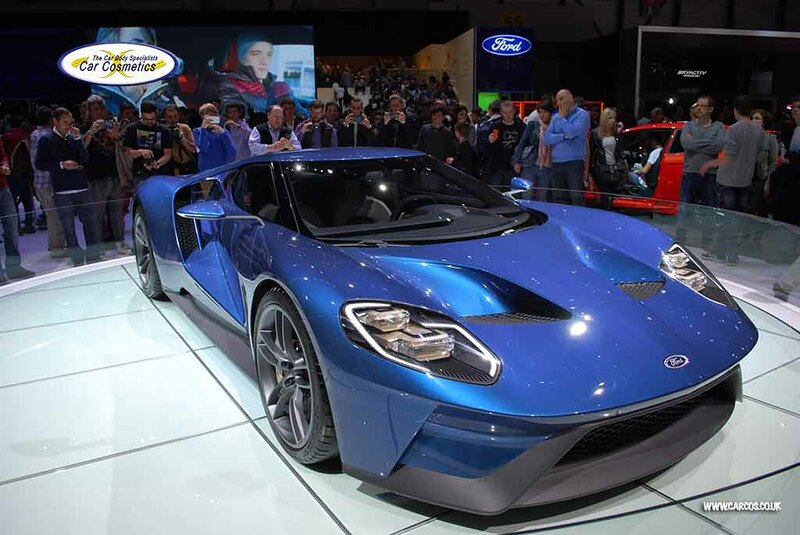 This is a sensitive topic for the former Ford GT, as it was riddled with issues. Riding on big claims, it failed to stand up to the spearhead supercars of the time and instead, it went for smaller prey – such as the F360 Modena, an obviously unequal rival, that had 150 less horsepower. Putting this aside, the car was initially planned to cost $150,000 but, due to the insufficient number of cars produced (around 1,500 per year) there weren’t enough examples to send to all Ford dealers, so the price rose until it hit over $220,000. Add to that that some decided to auction them on Ebay and you’ve got a perfect example of a dysfunctional network and poor preparation from behalf of Ford. But wait, there’s more! You hear, as a telemarketer’s broken record voice echoes through your head. And indeed, there was more. Other problems included paint and climate control issues, coolant fluid leaks from the power steering and from the engine, battery drain caused by a faulty electrical glitch… However, the biggest issue was cracks found in the control arm. Manufactured by an Alabama plant, the A-arms were seemingly too frail for the Ford GT to handle and, as a result, malfunctions started to appear. Going hand in hand with an interdiction to drive letter from Ford, close to 400 vehicles were recalled to be fitted with new components. Fast forward to 2015, and the team at Ford performance was feeling the heat. 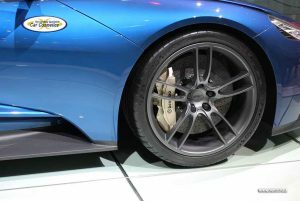 Inquired by the media, they recognized that the previous GT had serious defects and promised that the new one was not going to repeat them, as it was tried and tested on the road and track, alone and against other vehicles. 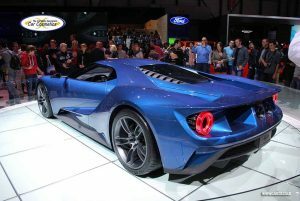 We are eagerly awaiting for the Ford GT to enter production and see what it is capable of and whether or not it can live up to the hype it created at Geneva. 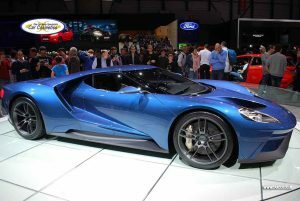 Moray Callumn, Ford’s Vice President of Design, stated that the new Ford GT would be a far more exclusive model that any of the models offered by Ford in the past – and that includes the 2005 supercar. 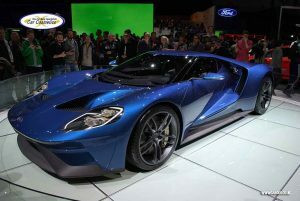 Slated to commence production in the early stages of 2016, the new Ford GT will be manufactured in only 250 examples per year. Contributing to that figure is the select nature of the car and secondly, the limited carbon fiber production capacity of the mechanized plant. What’s more, a consensus on how to allocate the supercar to dealerships has not yet been reached, so we’ll have to wait until next year to find out. Regarding the price tag, there is no concrete number at the moment, but the $400,000 figure has been in circulation for some time. A recent report states that around 100 examples will be headed to customers in the United Stated in the first year of production, with an additional 100 destined for the rest of the world. Thus far, the allocated slots for the UK seem to be limited to 20 supercars, so start saving those pounds! Due to the extreme focus on aerodynamics, the Ford GT will not even have a boot, as the centrally mounted engine eats the space in the rear and the massive radiators in the front occupy the entire nose section. The cockpit looks bare, clearly driver oriented, so it seems that practicality was one of the last things on the mind of the GT’s designers. If you were looking to make the GT a luggage carrier, we’d (politely) point you to the door. With that said, the novel iteration of Ford’s pride and joy seems to be a quite interesting and exciting entry into the already hyper competitive supercar domain. Until the first model rolls out of the production line, head over to your local Ford dealer and make friends with him or her – you might need it! 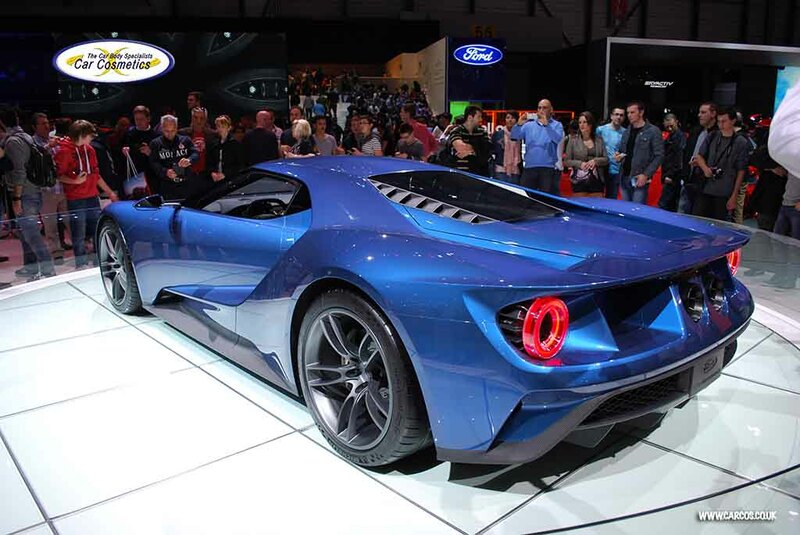 If you’d like to read what Ford has to say about their Ford GT, click here. Lexus LF C2 Concept Car	Car Smoking Ban in Force; How Will It Affect You?